SoundTakt is a colaborartion between three talented composers: Ricardo Salce, Joan Belmar & Fernando Calvo. Their work was first brought to our attention through the YouTube video's below. We caught up with the trio to learn more about how they work together and what makes the group tick. Tell us how you three met? Ricardo Salce and Joan Belmar met serendipitously on MySpace 5,000 years ago. Mutually impressed with each other’s’ taste, they exchanged music. It was love at first listen. A year later, Soundtakt was born. In 2011, Joan met Fernando Calvo in a Latin American technology forum. After hitting it off, they listened to each other’s music. The chemistry was undeniable. The rest was history. 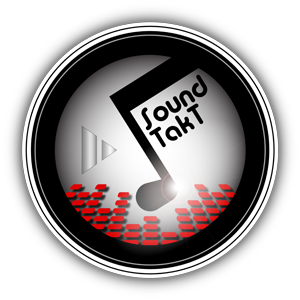 Soundtakt is an international collaboration. This partnership continues to thrive, despite locational differences. Diverse tastes and varied experiences fuel our practice giving us no shortage of inspiration. Because of this we’re able to create orchestral, EDM, and rock-based tracks. You are all in different geographical locations, how does that work? A cocktail of technology! We work individually and come together for meetings once a week in real time through Skype. We are constantly connected through text. Communication is crucial. Thanks to FL Studio’s zip package abilities, we are able to share projects no matter where we are. Furthermore, we’re disciplined with plugins and commit to using the same ones. How did you all get into music? The members of Soundtakt have an insatiable appetite for music. We’re fans first. It was only through FL Studio that we were able to translate this admiration into our own music. FL Studio helped us realize our creative potential and hone our skills. It opened the door for us to transition from enthusiasts to musicians. We have modest setups. Our music is produced solely through our computers (Intel i5-i7 processors with 8GB RAM). We only use PCs. In Chile, compositions and partial mixes are done using headphones. However, in the US, Ricardo uses speakers (KRKV8) to compose, mix, and master. Fernando, plays bass. We’re eager to add these elements to our songs. These live additions are going to be recorded in FL Studio as well. We do use some third party plugins, for instance Native Instruments . However, we find that FL Studio more than meets our needs.